Like in the countless cases that preceded his, Glenn was an unarmed black man killed by a police officer. Like those of his innumerable predecessors, his death was captured on video. As usual, the officer who shot Glenn says that the man was reaching for a fellow officer’s gun even though eyewitnesses and video do not show it. But unlike in most cases, the police chief says that the officer who shot Glenn should be prosecuted. The cop whose firearm Glenn was allegedly reaching for testified that he didn’t feel Glenn trying to reach for his weapon and said that he had no idea why his partner shot Brendon Glenn. Yet Los Angeles County District Attorney Jackie Lacey decided not to bring charges against Clifford Proctor, the officer who shot Glenn in cold blood. According to the Los Angeles Times, Lacey admits that her decision had nothing to do with whether or not Proctor’s decision to shoot Glenn was justifiable. She did not convene a grand jury or file a single charge. In fact, though, there is such clear and convincing evidence in this case that legal experts familiar with it have wondered if Lacey would ever prosecute a case of police brutality. On May 5, 2015, a bartender at a Los Angeles bar dialed 911 to report that a customer was being “loud and obnoxious,” refusing to leave. Los Angeles Police Department officer Clifford Proctor and his partner, Jonathan Kawahara, arrived on the scene to find 29-year-old Brendon Glenn and his dog. The officers told Glenn to leave, which he does, prompting the officers to turn off their bodycams. But Glenn continued to yell at customers at another bar, and video surveillance footage shows a bouncer from another establishment throwing Glenn to the ground, at which point Proctor and Kawahara try to handcuff Glenn. As they wrestle with Glenn, he tries to stand up. Glenn’s left hand is not visible in the surveillance footage, and neither is Kawahara’s gun. Proctor backs up and fires twice at point-blank range, hitting Glenn in the back and killing him. After investigators determined that Glenn was on his stomach and using his arms to push himself off the ground when he was shot, LAPD Chief Charlie Beck announced in January 2016 that he would recommend that the prosecutor, DA Lacey, file charges against Proctor for Glenn’s death. In a 12-page document, Beck noted that both responding officers were aware, before their arrival, that they would be dealing with someone who was possibly intoxicated but that the officers failed to develop a tactical plan. Video footage obtained from the Townhouse Bar captured the struggle between Glenn and the officers and at no time during the struggle can Glenn’s hands be observed on or near any portion of Officer [redacted] holster. Officer [redacted] holster was attached to the left side of his duty belt. Witnesses to the incident also said that they didn’t see Glenn reach for Kawahara’s gun. Kawahara said he had no idea why Proctor shot Glenn. DNA tests of Kawahara’s service belt were inconclusive. A police commission investigating the incident concluded that a “reasonable” officer would not have viewed Glenn as a threat. The city of Los Angeles eventually paid Glenn’s family $4 million to settle a wrongful death suit. Despite the abundance of evidence, on March 8, Lacey decided that her office would not pursue criminal charges against Proctor because, apparently, Los Angeles County prosecutors require more than video evidence, testimony from officers at the scene and eyewitness testimony. The explanation does not contend that the shooting was justified. It only speculates that it would be hard for Lacey’s office to win the case, with Lacey grasping at every available straw to explain her decision. She even added that no witness could say for sure that Glenn didn’t grab Kawahara’s gun. Lacey, however, did not include the fact that witnesses could not also state emphatically that Glenn was not a wizard who was immune to the laws of physics and gravity. In 2014, LAPD officers shot and killed 25-year-old Ezell Ford, who was black and unarmed. 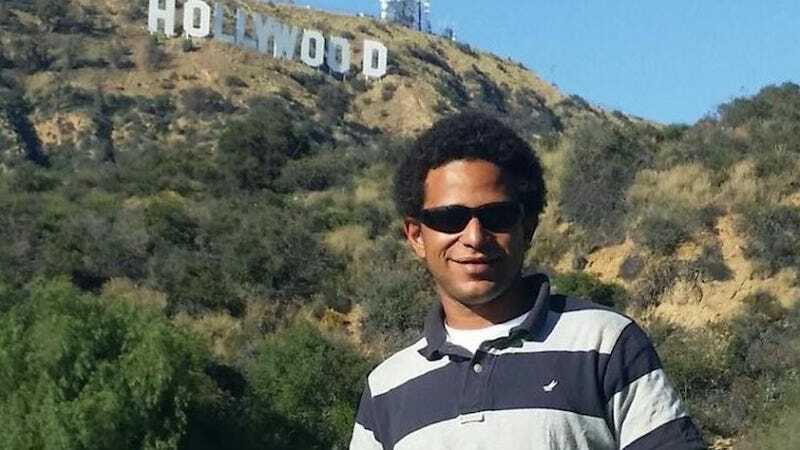 In 2015, LAPD officers shot and killed Charly Keunang, who was black and unarmed. Since 2000, 795 people have been killed by LAPD officers. In a county that is 9.1 percent black, more than 25 percent of the victims have been African American. The Los Angeles prosecutor’s office has not charged a police officer with an on-duty shooting in more than 15 years. Maybe they will finally prosecute when a police officer murders an unarmed black man on live television during Monday Night Football on the 50-yard line of an L.A. Rams game as the super slo-mo replay cameras capture the police killing in high definition and surround sound from 18 different angles, the blood splatters only missing the few disrespectful players who dared to kneel while our heroic first responders unfurl the symbol of freedom and justice to the waning notes serenading all who live in the land of the free and the home of the brave. ... and Brendon Glenn will still be dead.